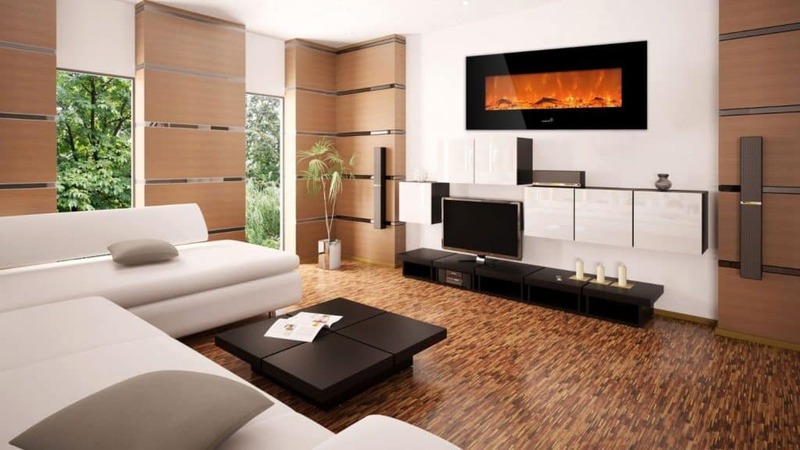 Modern Electric Fireplaces are great fixtures for modern homes. If you have a modern house, you may still want a classic look, which is where the smokeless fireplace comes into its own. A fireplace is a traditional household item and a social gathering place but it can have a modern, fashion-forward style. Fireplaces have been popularly used by many homeowners as a means to keep the family members warm during cold season. But with the invention of central heating, the need for a fireplace dwindled. The thought of a fire burning inside the house can sometimes leave homeowners fearing for their safety. Still, the emotional-warmth that a fireplace brings to us can’t be matched by modern heating systems. This is why the invention of modern electric fireplace was born and welcomed by everyone. Who would not like to sit down in front of a warm fireplace on a cold winter night with a cup of hot tea and a book to read? 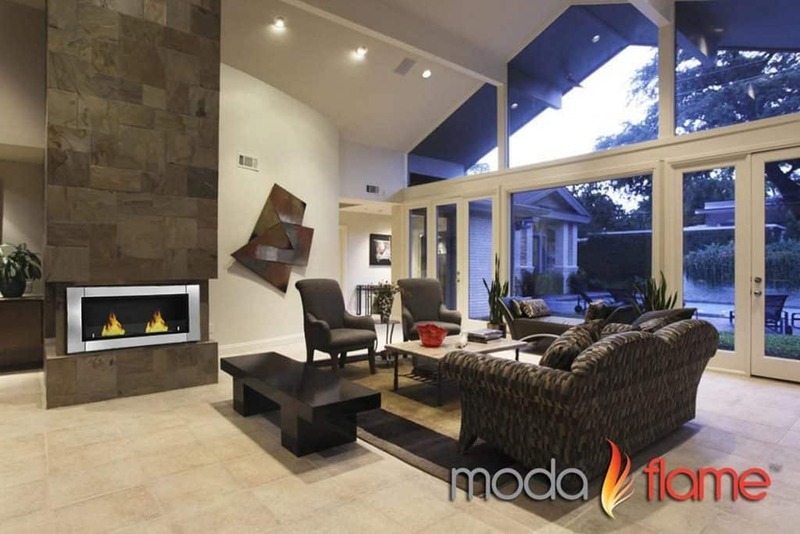 Modern Electric Fireplaces Are Great For Modern Houses! Dirty chimneys and unsightly soot once turned fireplaces into an eyesore. But with advancements in technology, fireplaces that produce heat without smoke and soot are now an attractive reality. Electricity is not the only way to power a fireplace that does not emit smoke, though. A number of different fuel sources can be used that do not emit smoke. They can be powered with propane, natural gas, bio-ethanol, or gel logs. Because they are usually powered by electricity or clean bioethanol, they do not require a vent or flue, further adding to their functionality and ingenuity. 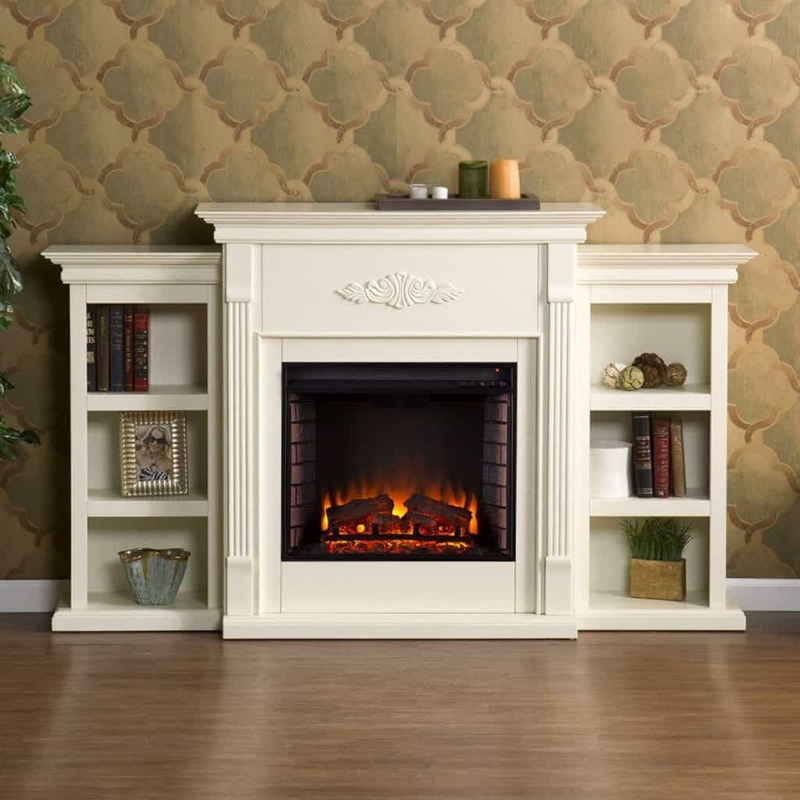 These types of fireplaces can make a house cleaner since they do not produce any sort of exhaust, ash, soot or dust. They have gained more following because of their efficiency, but it is necessary do your homework before rushing out to the store to get one for your home. 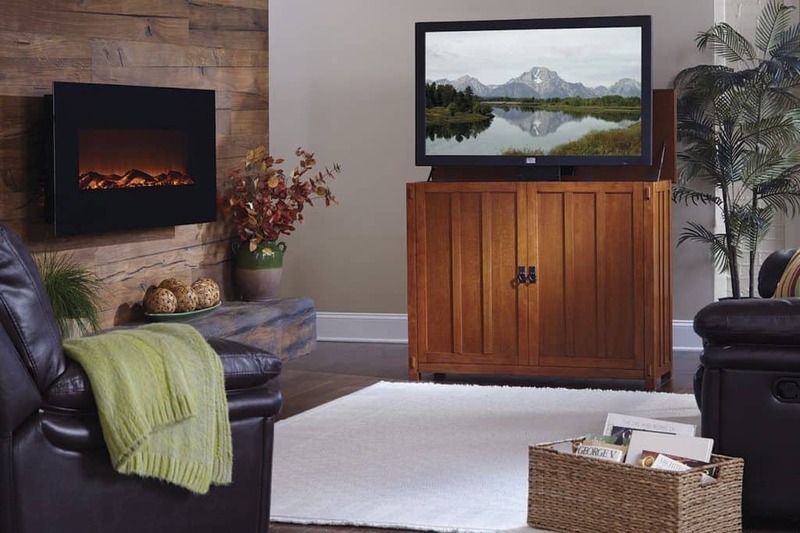 Is a modern electric fireplace better than traditional wood or gas-burning fireplace? 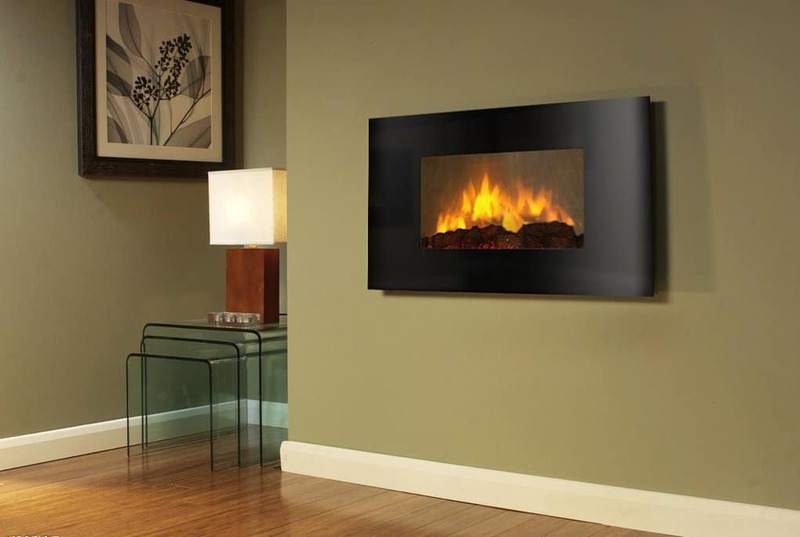 A modern electric fireplace can be a great source of heat for any room in your house that is too cold. 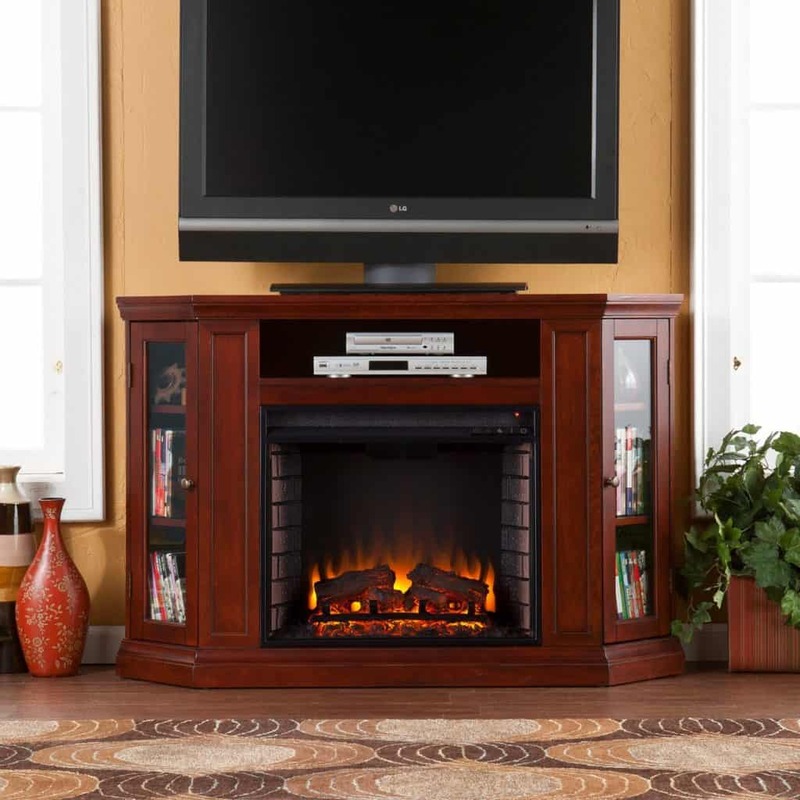 Electric fireplaces do not use any fuel and do not require any additional installation. Simply plug them in and there you have it – your own ready working fireplace! Many electric fireplaces are designed to imitate conventional fuel burning fireplaces. So they provide aesthetic comfort as well as a source of heat. Remember, unlike conventional fireplaces, an electric fireplace does not actually produce a real flame! Instead they imitate a flame. The system consists of a heatproof material and a fan, to replicate the dancing nature of real flames. Because of its fake flame, this fireplace type is generally considered to be much safer then gas or wood burning ones. The modern electric fireplace owes its popularity to its usefulness, ease of use, and aesthetic appeal. It has all the advantages of a traditional and gas-powered fireplace, yet it has a lot more to offer. Its versatility makes it even more desirable. You won’t even need to hire a professional to install it. You can have a fireplace without worrying about the house catching fire, or your arms hurting from all the wood chopping. The electric fireplace is more practical than its traditional wood and gas-powered counterparts. It has eliminated the need for exhaust systems or a chimney. It can be styled to look like a traditional fireplace so it can go well with a shabby chic interior or a rustic cottage-style home. It is also popular among environmentalists because it minimizes toxic emissions from wood burning. This makes an electric fireplace the best choice for families who have members prone to asthma and allergies. An electric fireplace has a lot of advantages over other fireplaces. It is cleaner and requires little maintenance. It can be cheaper to buy, depending on the price of different fuels and energy sources where you live. First things first, you do not need to hire a contractor to tear a wall down and to create a chimney for a regular fireplace. 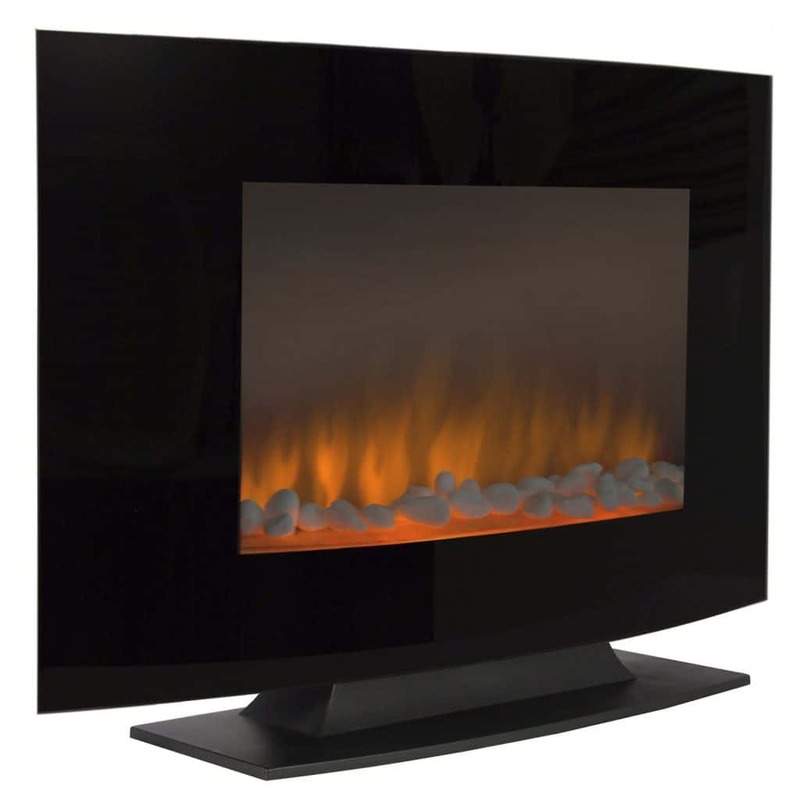 Simply buy an electric fireplace, hang it on a wall or place it anywhere you want in a room and switch it on. It can provide heat to just about any size of room (heating capacities are according to the size of room). Installing an electric fireplace does not require major home remodeling. 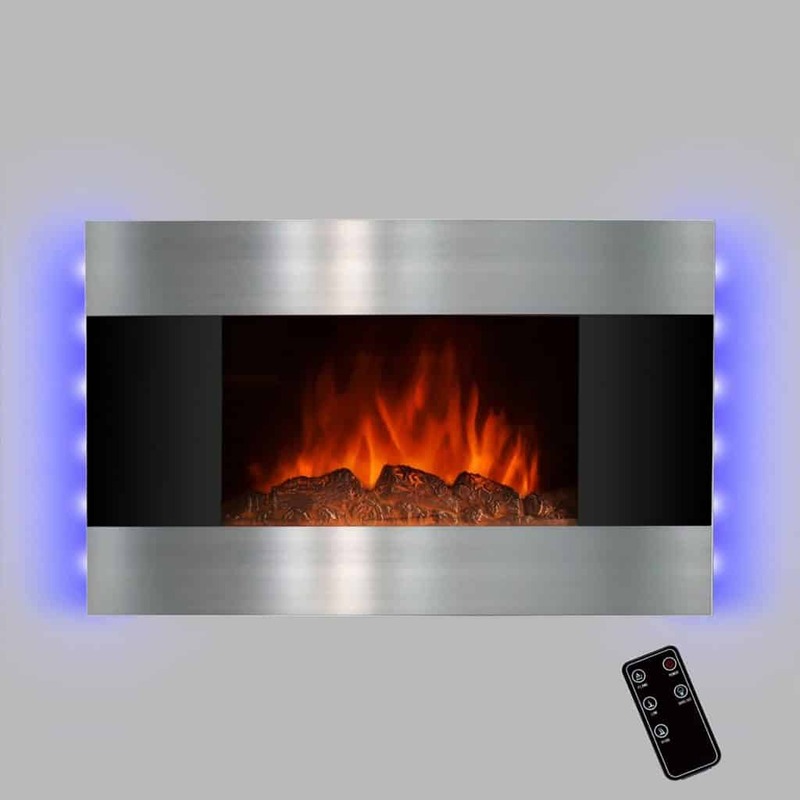 You can mount it on your living room wall or fit it inside an existing fireplace. 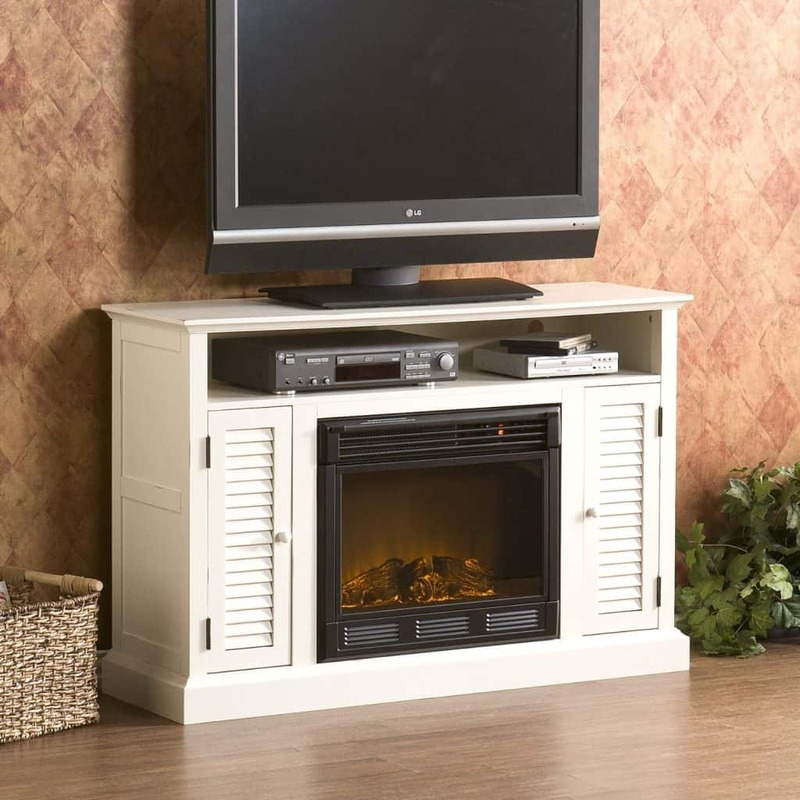 You can buy models that can easily provide warmth for a small room, medium–sized room or a large home. There are even industrial models too. You will save so much on contractor fees plus have your furnace ready when you come back from the store. Can’t decide where you want to put your fireplace? 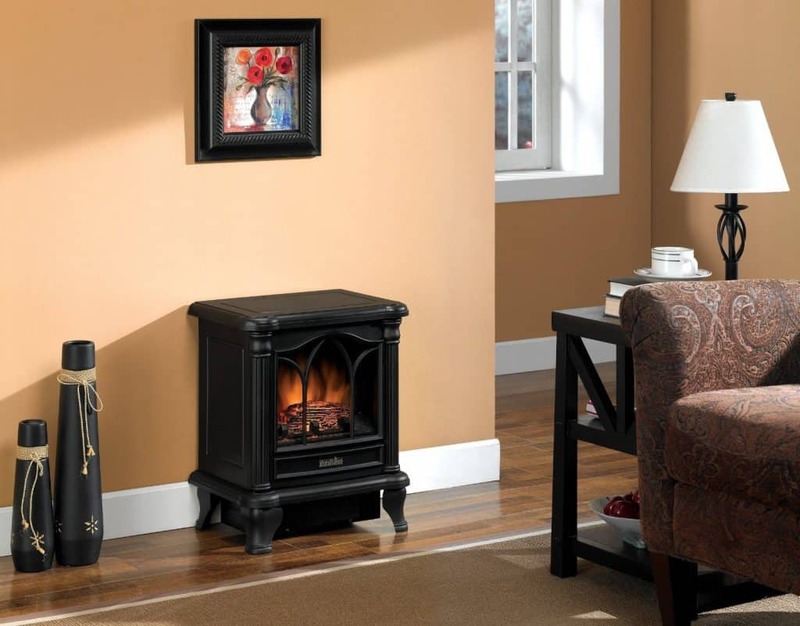 Electric fireplaces can be moved around the house because they do not require a chimney or flue. They can be set against any wall or even in the center of a room. This versatility is an advantage if you wish to give your living room or any other room in your house a sophisticated and contemporary look. 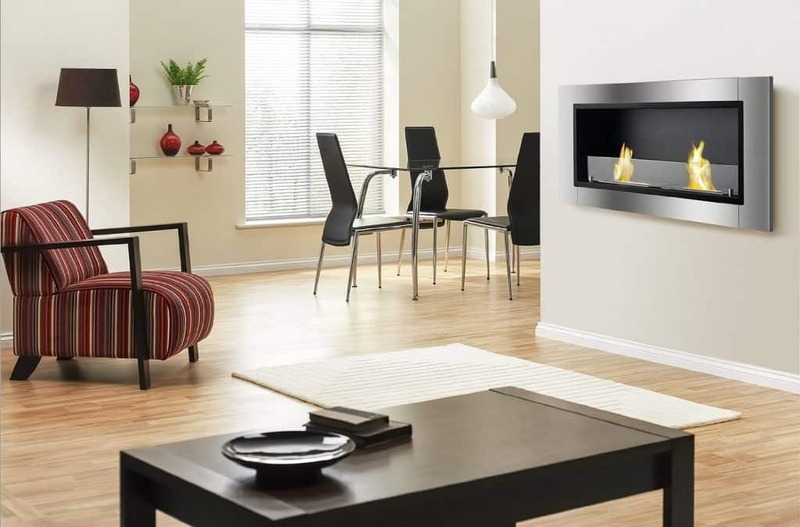 Electrically powered fireplaces do not require any type of vent or flue, and so can be considered entirely portable! They can be moved from room to room, if needed, and several can be used at the same time within a single room. 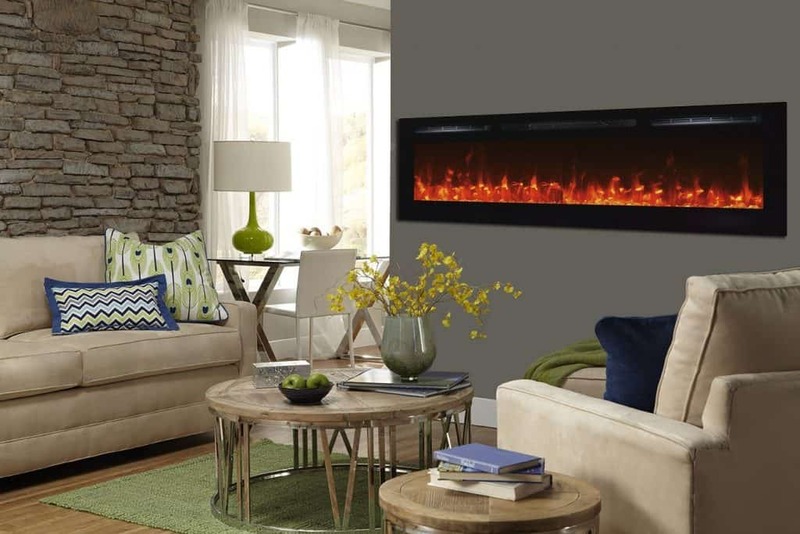 Modern Electric Fireplaces are easy to use and maintain! You will be able to easily adjust an electric fireplace with just one touch of a button or a press of a remote control. You can change the heating intensity, the size of the flames and even program your appliance when to power on and when to stop. 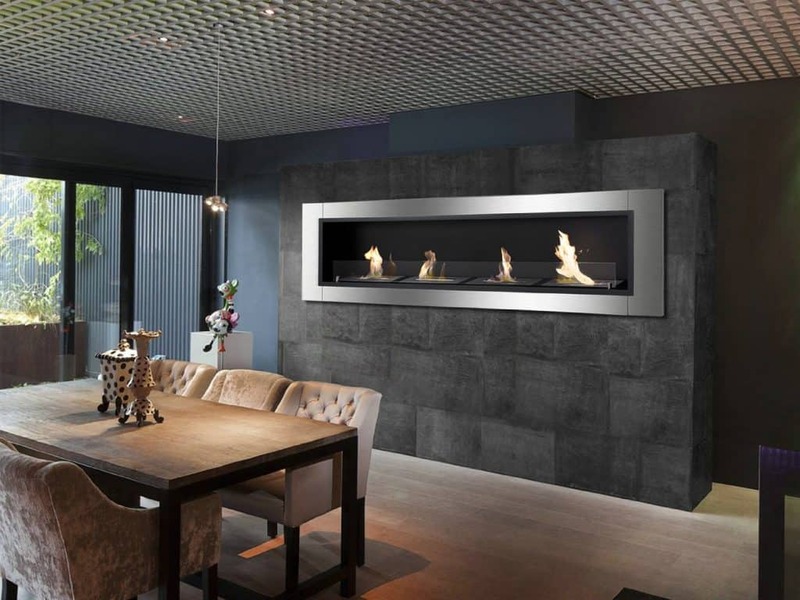 These incredible devices require very low maintenance as compared to traditional fireplaces. They also can be moved and cleaned very easily because of their modern portable design. Besides offering a cleaner heat source, vent-less fireplaces are also much safer than their ancient cousin. Gas, propane, or gel fuels burn cleanly. They do not pose the threat of embers escaping the fireplace and setting a piece of furniture or the entire house on fire. Smokeless fireplaces produce a flame that can be extinguished on demand at the flick of a switch. And they cool much faster than traditional fires – within a few minutes, in many cases. You and your family will never have to deal with toxic by-products of burning wood. Smoke from wood can cause asthma, allergies, skin conditions and so many more chronic medical conditions. A home can become too polluted if wood is not burned right! Basically, there is a right and a wrong way of burning wood. Burning untreated firewood will lead to more smoke, less heat and the creation of creosote which damages your chimney in the long run. A fireplace is not only a heater for a room, but also a part of room décor. 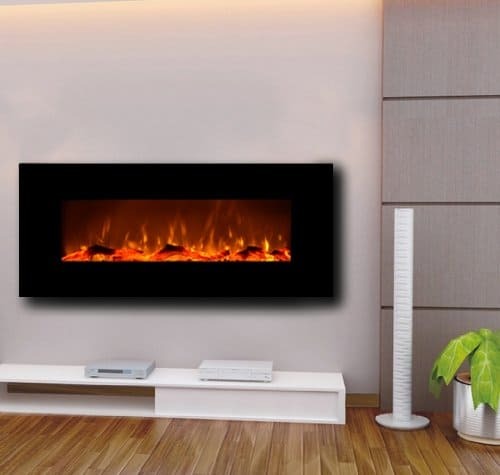 This makes an electric fireplace different to many other electrical sources of heat, such as convector radiators and fan heaters. It enhances the elegance of your home. You can use it to change the look of any room in your house since there are portable models that can easily be removed and installed. 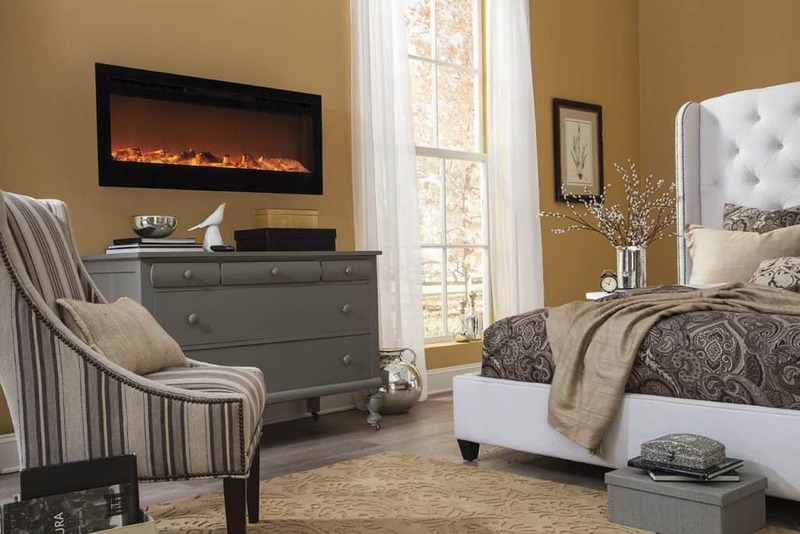 Electric fireplaces are available in many designs, so you are sure to find one that fits well with your room’s décor. The types of designs available are as diverse as can possibly be. Literally thousands of designs are available. To see what might be just right for you, take a look at the pictures below. You can find exactly what you are looking for, or just some inspiration as to the style that you want to see in your own home. 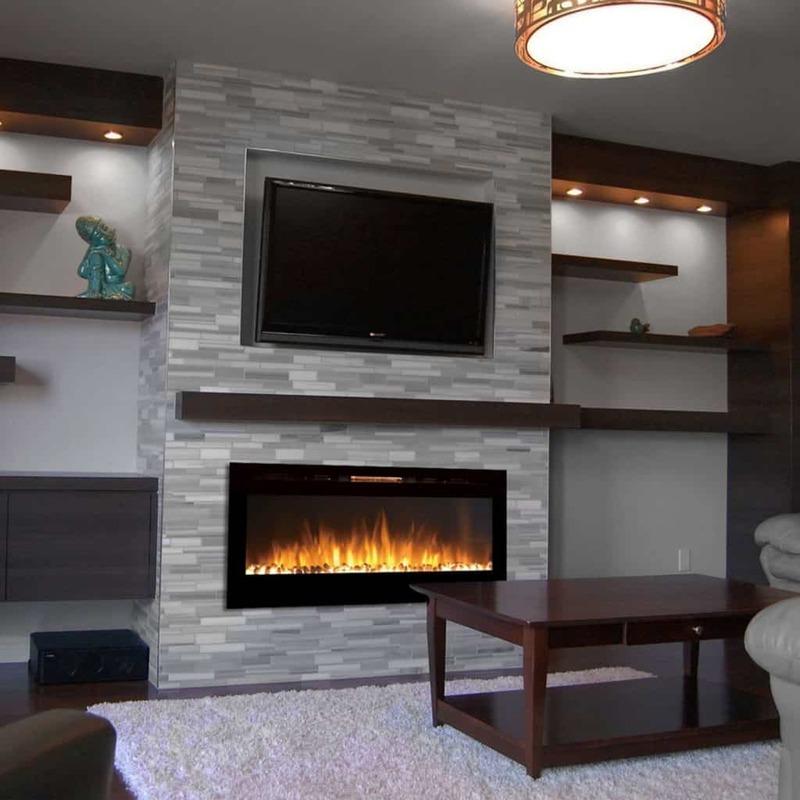 You do not have to worry about integrating an electric wall mounted fireplace with your existing décor. There are models in different colors, shapes, sizes and designs. 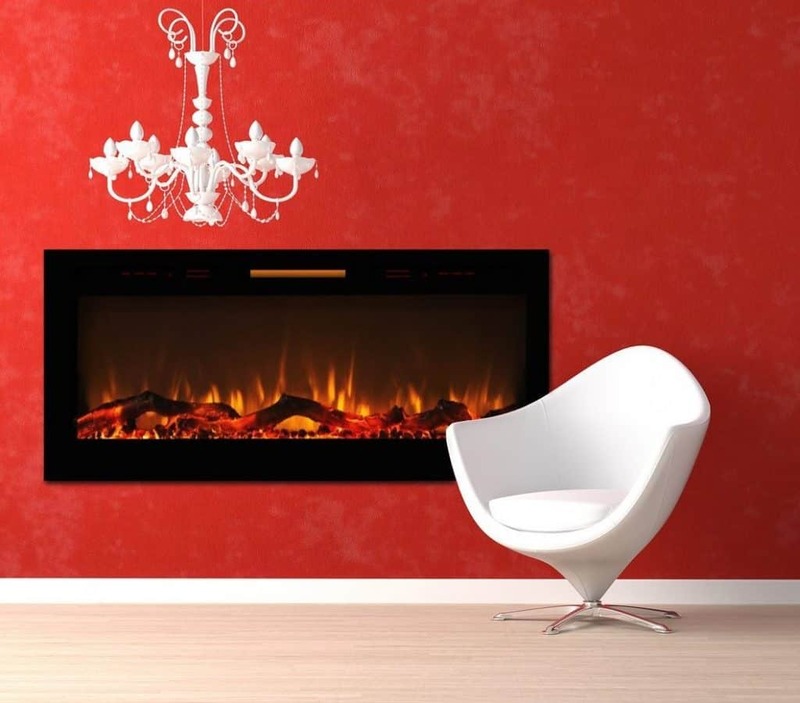 You will surely be able to find a wall mounted electric fireplace that will fit your interior designs. 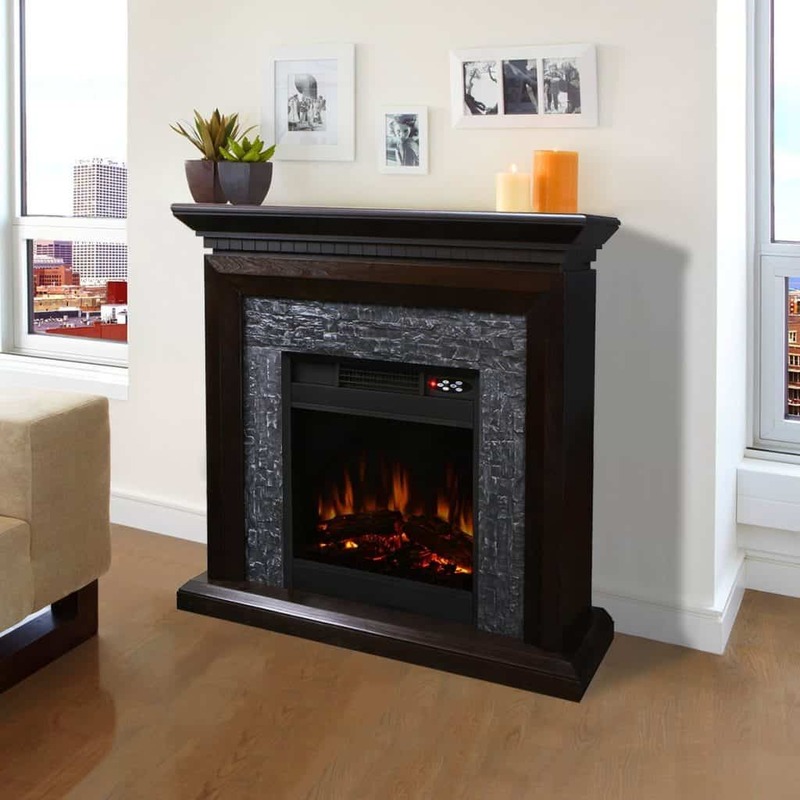 You can get Wall Mounted Electric Fireplaces too! 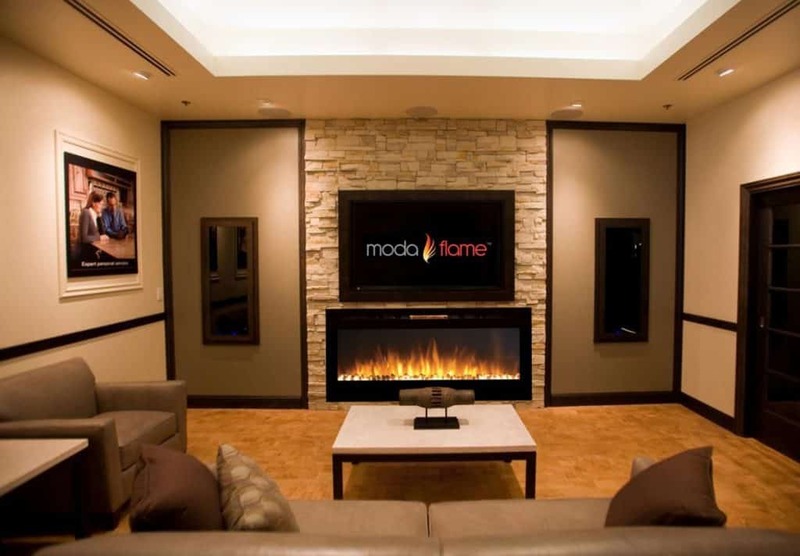 What are the benefits of a wall mounted electric fireplace? 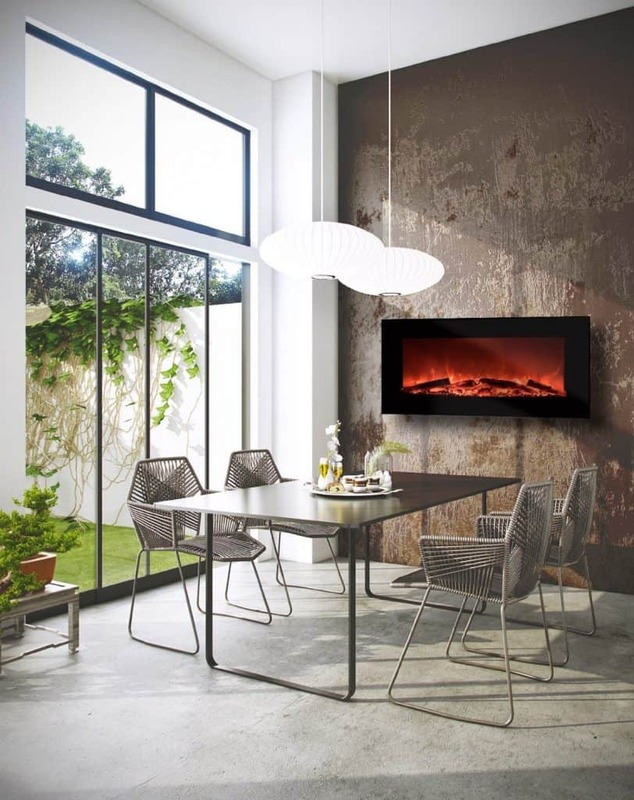 If you want an instant fireplace without having to deal with major improvements in your home, then a wall mounted electric fireplace is the perfect solution. This kind of fireplace instantly brings heat in a room without the costly contractors and the health hazards of burning wood inside your home. If you are someone who wants to spruce of the living room with just the addition of one detail, the electric fireplace is a good choice. You just have to be ready to spend a little for this fancy addition to your home. Go Green with a Bio-Ethanol Fireplace Insert! 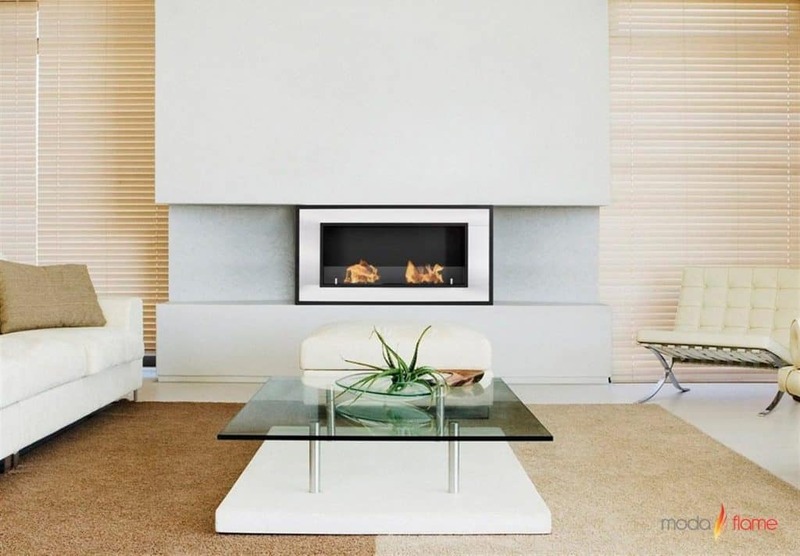 An ethanol fireplace insert can be a great idea for a modern home. The notion of a green lifestyle is becoming more and more popular. 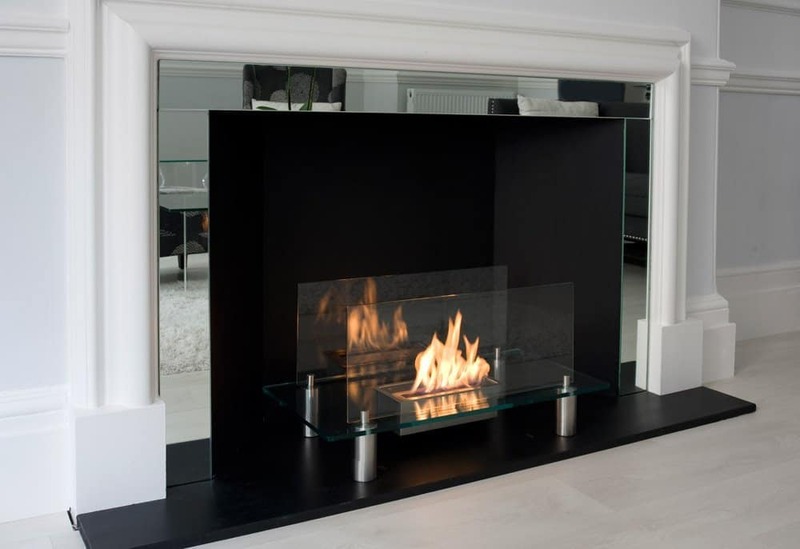 A bioethanol fireplace insert may be of interest to you, especially if you have a big interest in energy saving appliances, fixtures, and fittings. Every day people are looking for greener options when considering home improvements. The growing of this awareness is reflected by the choices made available to the public by retailers. 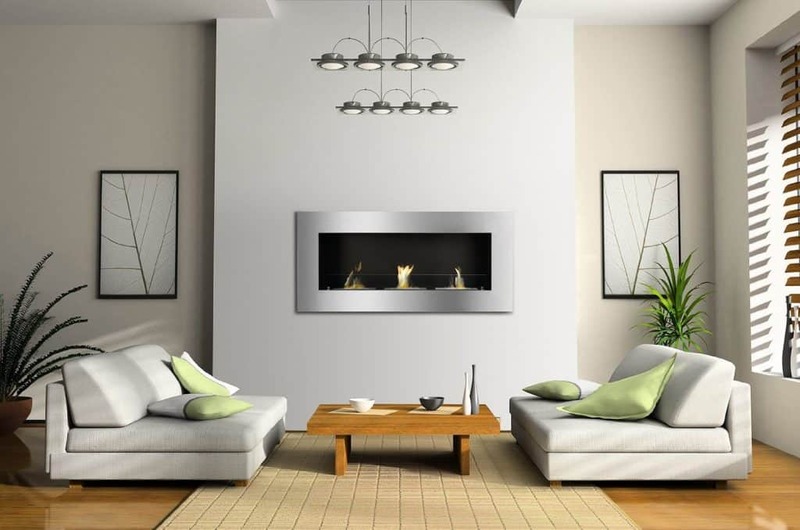 A product often mentioned as being green or environmentally friendly is an ethanol fireplace insert. But why is is an ethanol fireplace considered so often as being environmental friendly? This type of fireplace works in a completely different way to wood burning, gas fireplaces, or electric fireplaces. 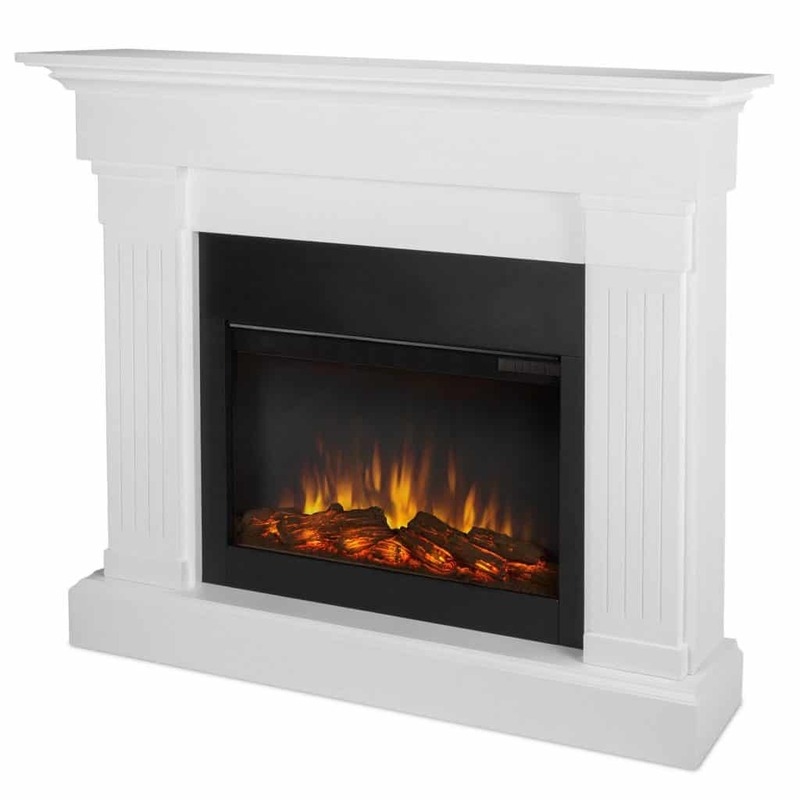 A gas fireplace is considered the most energy efficient type of fireplace. 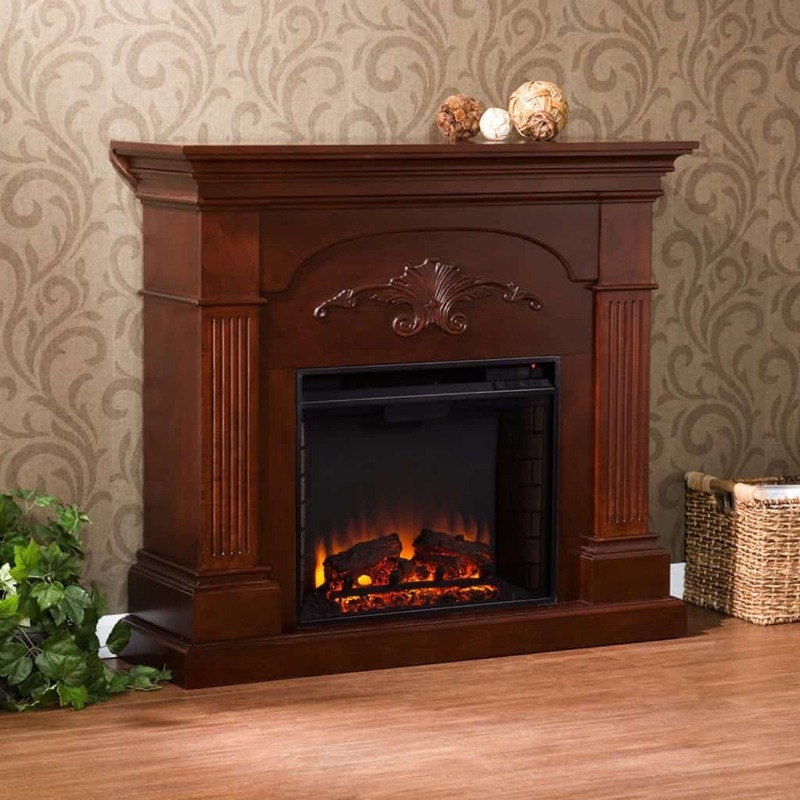 An electric fireplace is considered to be the cleanest type of fireplace since nothing is actually burned. A wood burning fireplace is considered the most environmentally friendly fireplace… especially if the wood used as a fuel is obtained from a sustainable source. But a bioethanol fueled fireplace offers you the combined benefits of wood, electric, and gas! 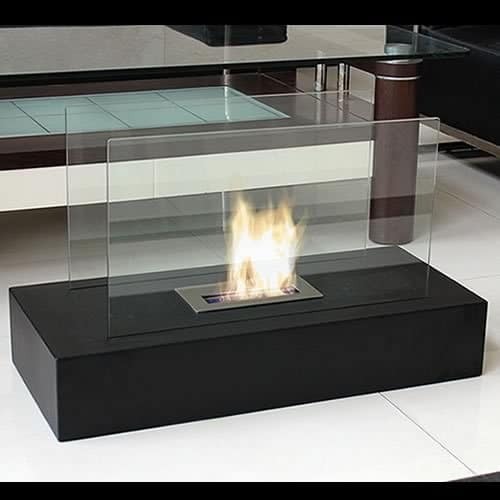 If you are interested in buying an ethanol fireplace, then there are several things that you should take into consideration. 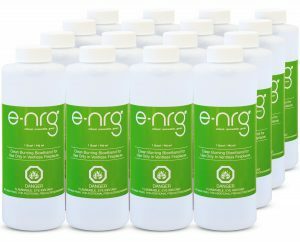 What is Bio Ethanol anyway? A bio ethanol fireplace uses ethanol fuel. The fuel itself is made from fermented plant material, which results in the production of bio-ethanol. Because the plant materials continuously grow back, bio ethanol is considered a renewable resource, a source of renewable energy. By using an ethanol fireplace you are helping to reduce the use of fossil fuels. Hooray you! 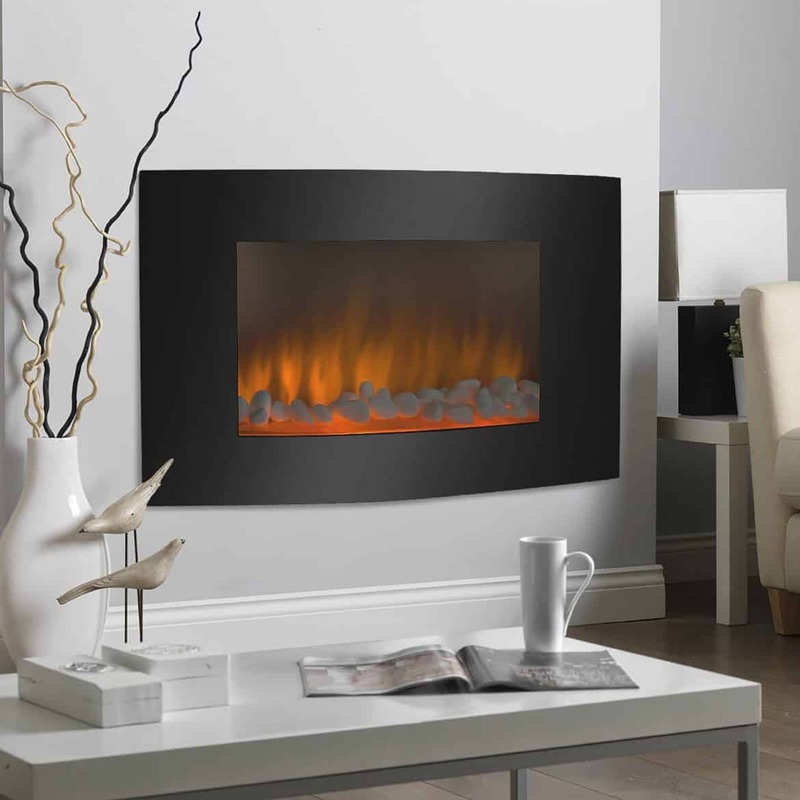 Although bio ethanol fireplaces generally save energy, they may not be so efficient in heating smaller rooms, because they produce a lot of heat and may overheat a smaller room. 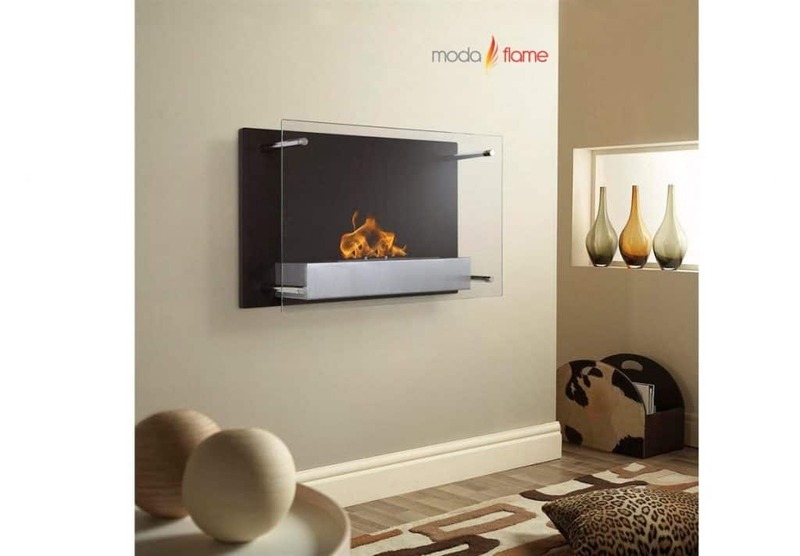 However, a bio ethanol fireplace can also be used to heat in-wall and under-floor water pipes, making your home even more efficient. You also need to take into consideration how you will obtain the fuel. Will it be delivered, or will you have to collect it yourself? You can buy it online as well. If you decide to opt for an eco-friendly fireplace, you should look at the designs and styles available. After all, a fireplace is not only meant to provide warmth, but it is also a decorative element within your house. You can opt for a freestanding model which works upon very simple operating principles. Simply put in on the floor in an area suitable for hot items. Open the cover and light the ethanol with matches or a lighter. Then feel it provide heat for your room. Wall mounted models are just as simple to install as wall mounted televisions. The come on bracket systems with no further installation required. There may also be a possibility to convert your current fireplace to run on bioethanol! 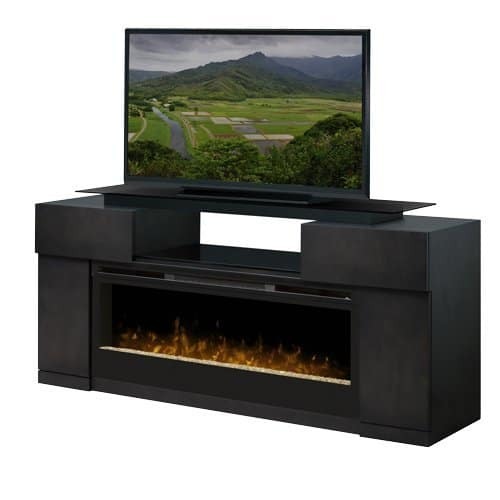 An ethanol fireplace insert is very easy to install. It does not need huge amounts of alteration of your existing space for a fire. Also no need for the construction of a new chimney stack. 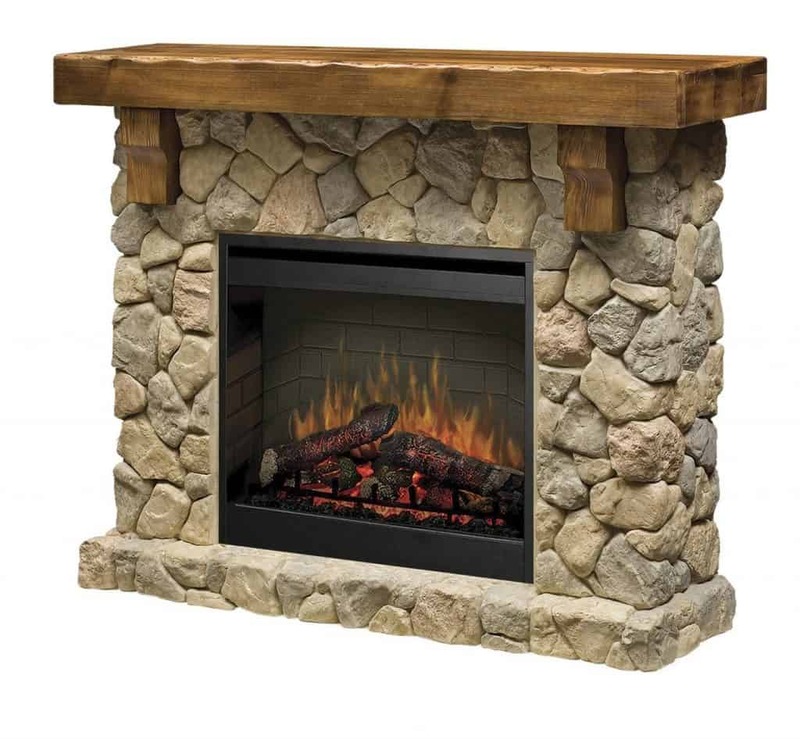 An ethanol fireplace insert is great for houses where it is impossible or difficult to build a chimney. Even when it’s feasible structurally, building a new chimney can be more expensive than people expect. 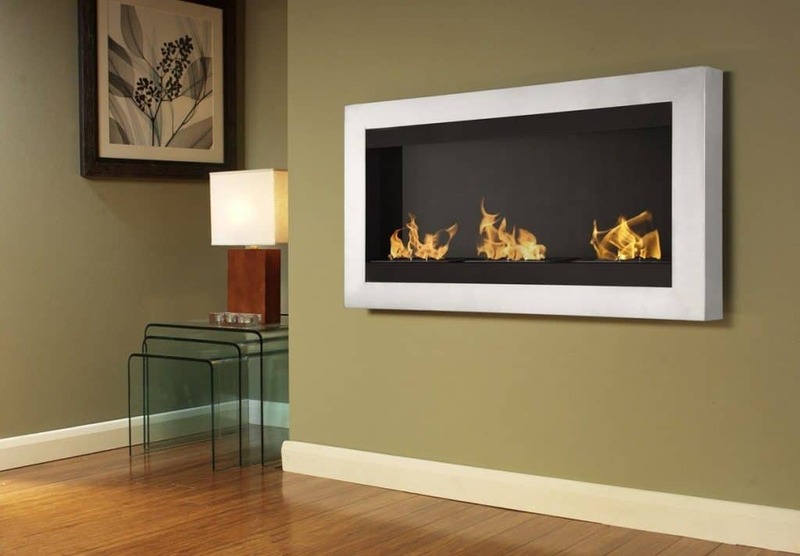 So an ethanol fireplace insert is a great solution which can fall within your budget. Since the ethanol fireplace insert does not require a chimney, the bioethanol fuel produces no soot, fumes or ashes when burnt. The flame itself is very pure, so an ethanol-based fireplace does not require good ventilation. The only by-products of an ethanol flame are water, heat, and low levels of carbon dioxide. Whoa, carbon dioxide is bad for the ozone layer, right? Yes, but the amount of carbon dioxide produced from your fireplace will be offset by the growing of new plant matter for the creation of more bioethanol. So this carbon cycle is almost 100% carbon efficient! Bio-ethanol doesn’t produce soot, ash, fumes or toxic gases. Since there is no ash deposited by a bioethanol fireplace, this means that cleaning it is less of an issue. Yet cleaning is still necessary as part of the fireplace’s regular maintenance. Go Electric or Go Green? It takes only a small amount of patience and a lot of stress management techniques to be able to finally find the ideal fireplace for your home. Because of their many advantages, smokeless fireplaces have become commonplace in many modern homes. With all of these benefits, you should definitely consider buying an electric fireplace insert or a bioethanol insert as an additional or alternative heating source for your home. I’m a huge fan of the ethanol fireplaces. They are very easy to install. They looks very modern. They don’t require any wires. My most comfortable place is by our fireplace in cold weather! I love the website; it makes me need to curve up after a fireplace and get warmed up first-class activity! That’s a great blog, thanks for sharing this information. As we all know nowadays electric fireplaces are very expensive and can’t be seen in everyone’s home. 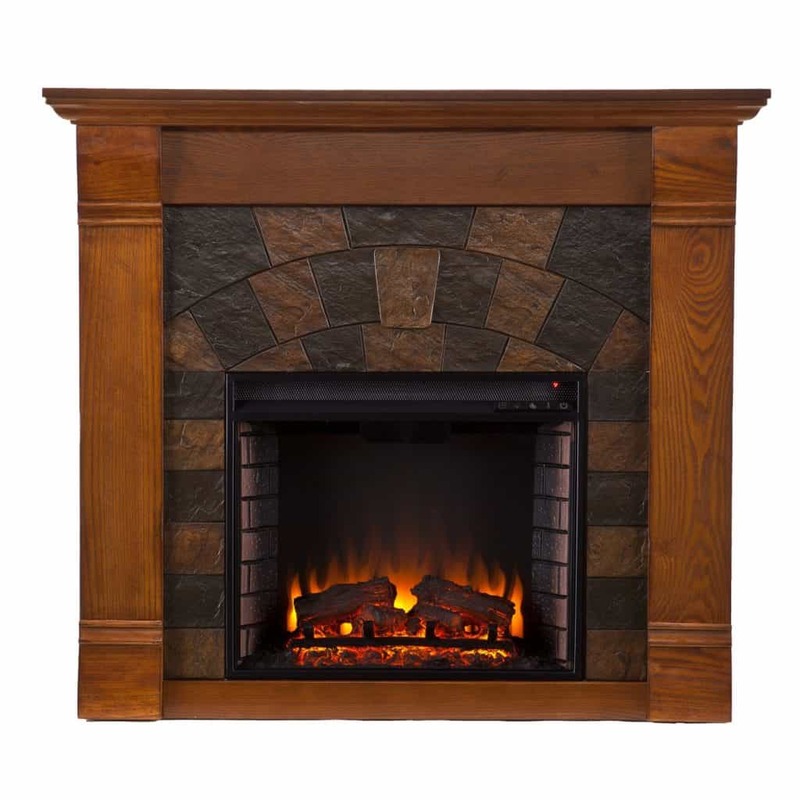 But I have a site from where you can get the most realistic electric fireplaces without breaking your budget.